Concerned about your child’s ear drainage following ear tube placement surgery? Find out what to expect and how to manage ear drainage after surgery. Is your baby or toddler scheduled for ear tube surgery or home recovering? You may wonder what comes next. How can you tell if there are problems? What should you watch for? After dealing with repeated middle ear infections, tympanostomy tubes (more commonly known as ear tubes) are often recommended and placed by ear, nose and throat surgeons. The tiny tubes, placed surgically in the eardrums, work by channeling drainage out of the ear. When should you worry about ear drainage? A common concern parents have is around blood or other drainage coming from their child’s ears in the days following ear tube surgery. You may worry that there’s a problem with the tubes. But the drainage is actually a sign that the tubes are doing their job. 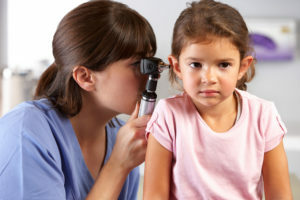 Early ear drainage like this is usually not a cause for concern, says pediatric otolaryngologist Brandon Hopkins, MD. In the weeks and months following ear tube placement, drainage is an indicator of an ear infection and is often easily treated with topical antibiotics. Is ear drainage ever a problem, though? Only if it’s chronic, which means it’s been happening for more than a month, even with antibiotic drops, Dr. Hopkins says. 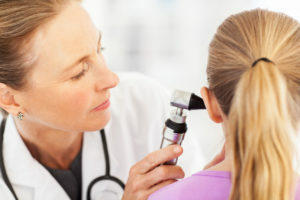 If your child’s ear drainage does become chronic, it’s important to follow up with the surgeon. He or she may recommend additional treatment. This may include ear suctioning, topical antibiotics or powders, or an oral antibiotic, he says. How long will drainage last? Drainage will likely occur whenever your child gets an upper respiratory or ear infection until the tubes fall out. This typically happens between eight and 14 months after surgery in most cases, he says. What kind of ear drops should you use? 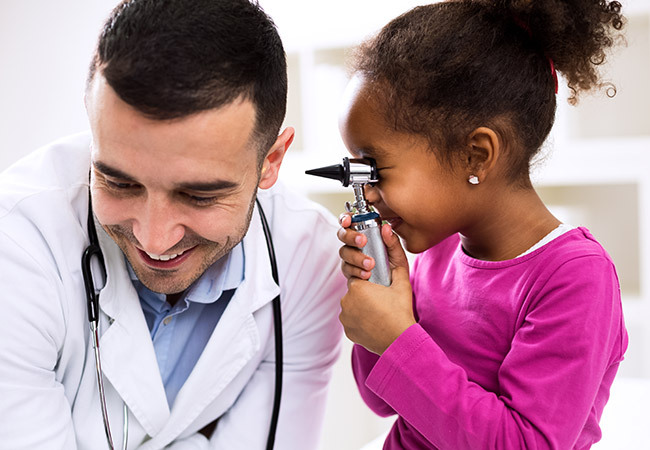 Your child’s surgeon likely will recommend using ear drops to help keep your child’s tubes clear of any blood or debris that may appear in the first week after surgery. Saline or antibiotic drops both work equally well when a child’s ears are not actively infected at the time of tube placement, Dr. Hopkins says. After surgery, he advises his patients to use five drops, twice a day for a week. Even when you use the drops, it’s fairly common to see ear drainage in the month after surgery. Up to 16 percent of children experience some drainage, according to a Cleveland Clinic study that compared the effectiveness of saline drops versus antibiotic drops. When you see drainage, that’s a sign that your child’s ear tubes are helping prevent painful fluid buildup, Dr. Hopkins says. However, many infections are viral, which means they won’t improve with antibiotic drops and drainage will run its course. In the case of bacterial infections, antibiotic drops have been shown to shorten drainage duration. “What might take 10 days to clear for a bacterial infection only takes two to three days with antibiotic drops,” Dr. Hopkins says. When drainage occurs, clean your child’s ears with a washcloth to help keep his or her ears dry and prevent irritation of the skin. The bottom line: Drainage and the use of ear drops are generally needed after ear tube surgery. But the surgery should help keep fluid from building up and causing painful earaches.